Just in time for Mardi Gras, Chef Irv Miller will be offering New Orleans-inspired brunch and dinner features at Jackson’s on Sunday, March 3, the Sunday prior to Fat Tuesday. The Fish House, Atlas Oyster House and The Deck Bar are pleased to once again join forces with Pensacon, Pensacola’s Comic Convention, to present five nights of themed décor, music, photo opportunities, original move prop displays and fun at one giant complex. The Mississippi Blues Commission will honor the legacy of the Blues in Pensacola, Florida with the unveiling of a Mississippi Blues Marker - part of the Mississippi Blues Trail. Looking for the perfect place to celebrate? 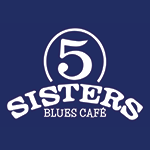 Join us at Five Sisters Blues Cafe on Thursday, February 14. We will be open for lunch service from 11:00 a.m. until 4:00 p.m. with dinner service following. Looking for the perfect spot to celebrate with your sweetheart? 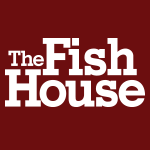 Celebrate this special day with us at The Fish House on Thursday, February 14. Looking for the perfect place to celebrate? 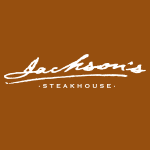 Join us at Jackson’s Steakhouse on Thursday, February 14. Five Sisters Blues Café will be offering a full Christmas Dinner Grab and Go. The package is based on six people with additional orders available in increments of six.